Tortilla Towel!! Bundle Up Like a Burrito!! 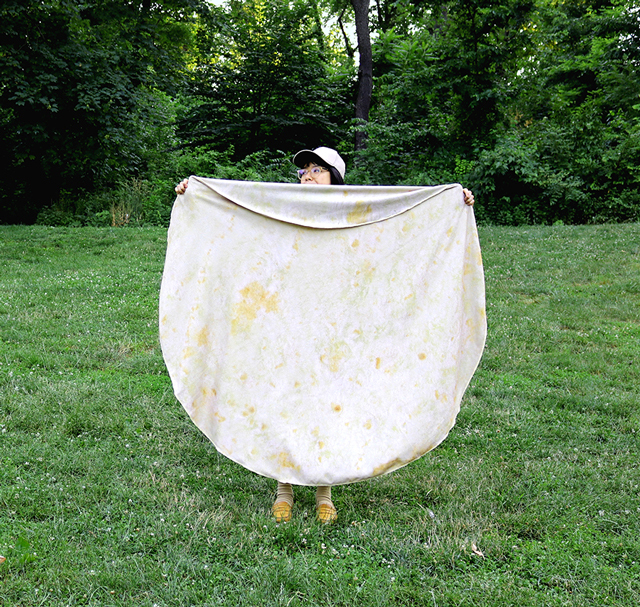 The team of gals at &Friends have created a TORTILLA TOWEL! This giant round towel is 5-feet in diameter and looks like a flour tortilla! You can totally wrap yourself up to look like a giant burrito…! The Tortilla Towel is available to pre-order for $35. Bravo. Highly. Food inside of us, or we are inside of food? Thank you, Pee-wee! Lol this is awesome! ???? ?